A gift to make an everlasting impression of love and romantic memories forever! So Intoxicating, irresistible, and infused with a classic traditional romance, arrangement is nearly as captivating as your lover is. 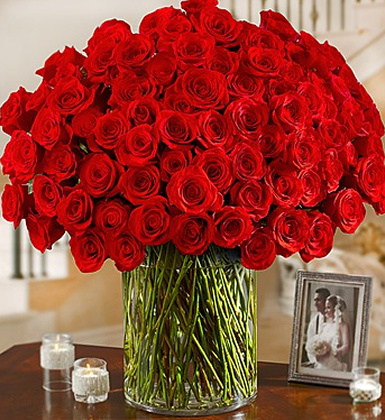 Declare your love and express your adoring love with this lush bouquet of Long Stem Red Roses, a gift that's is as timeless as it is traditional, as it is romantic.